US citizens do not require a visa to travel to the Czech Republic for a business or tourist stay of up to 90 days. A passport with at least 6 months validity remaining is required. For longer stays, us citizens may apply for an extension of up to 6 months at any Czech immigration police office. You may also be required to show proof of sufficient funds (approx. $20.00 per day of extended stay). A valid, signed US passport. The passport must have at least 6 months remaining after the completion of your stay in the Czech Republic, and contain at least one blank visa page. Visa Application Form – Original only. Fax or electronic reproductions are not accepted. A valid, signed passport. The passport must have at least 6 months remaining after the completion of your stay in Czech Republic, and contain at least one blank visa page. 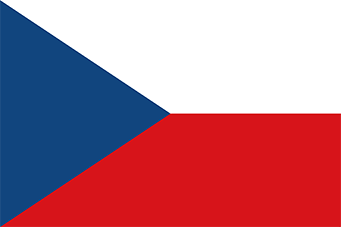 Consular fees are based on the exchange rate of Czech Crowns to US Dollars and may vary from month-to-month. Please click here for more information regarding the Schengen area. Travelers to Europe on business or tourism purposes may receive a visa for a short stay of one to ninety days, valid for all of the Schengen area countries. A Schengen visa issued by an embassy or consulate allows the holder to travel freely to all of these countries. If you wish to visit only one Schengen country, you must apply through the embassy or consulate of that particular country. If you wish to visit several Schengen countries, you must apply for a visa through the embassy or consulate of the country which is your main destination. If you wish to visit several countries but do not have a main destination, you should apply for a visa at the embassy or consulate of the country which is your first point of entry. If you do not need a visa for the Schengen country which is your main destination or first point of entry, please note that you may require a visa for other Schengen countries you wish to visit. You should then apply through the embassy or consulate of the first country which does require a visa.